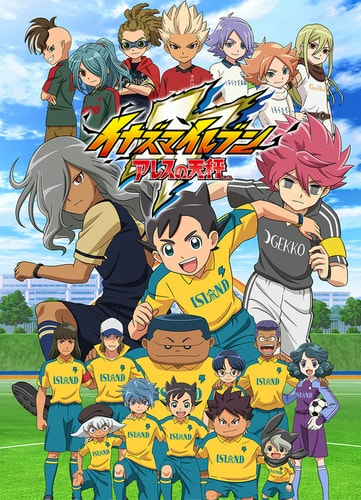 Plot Summary: Inazuma Eleven Ares will be set in a parallel world, taking place after the events of the first game, and develop the story from the perspectives of three protagonists—Ryouhei Haizaki, Asuto Inamori, and Yuuma Nosaka. The story revolves around a group of boys living on an island who love to play soccer. Their soccer club is suddenly abolished, and the only way they can regain it is to win the Football Frontier. Protagonist Asuto Inamori and company leave the island for Tokyo to attend Raimon Junior High School and take on the Football Frontier. But their first match is against the number one-ranked Seishou Gakuen.